Wine Enthusiast Awards PB&J 93 Points! 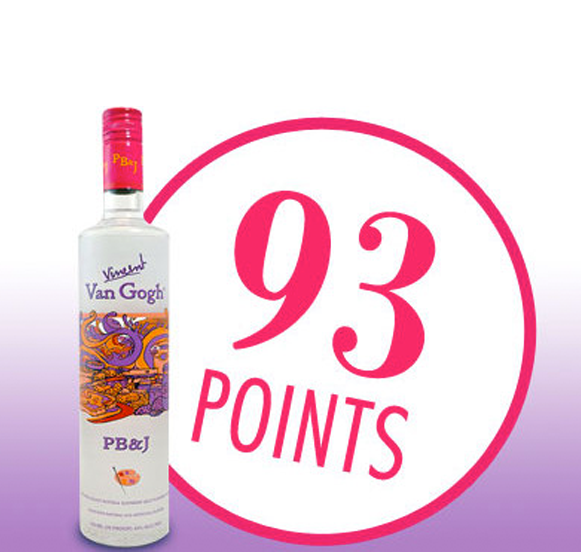 Van Gogh PB&J has been awarded a score of 93 points by the Wine Enthusiast! Give this ode to a childhood favorite a chance. Clear in the glass, it has an enticing scent that evokes an actual peanut butter and jelly sandwich. Its very sweet on the palate, dominated by the peanut flavor, though the grape flavor comes through on the finish. It’s addictive and makes for wonderfully campy cocktail ideas, including dessert drinks.